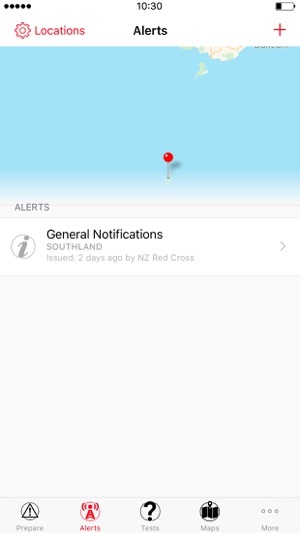 Download the Hazard App by New Zealand Red Cross to help you and your family prepare and respond to hazards in New Zealand. The app is a vital tool to help you get through emergencies and to receive disaster alerts. 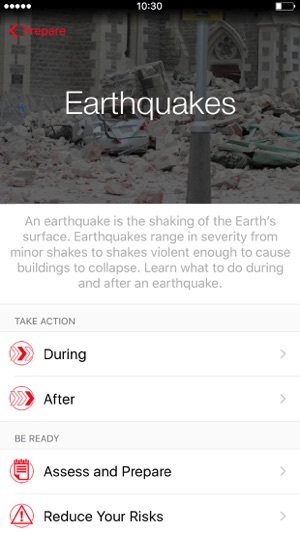 This app allows users to prepare their homes and families for disaster, find help and let others know they are safe. An in-built alert system will allow you to receive alerts based on the location and type of hazard you are monitoring. 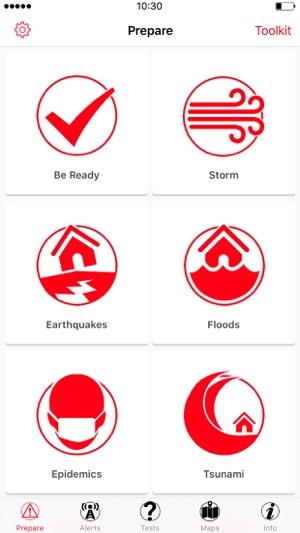 Through the Hazard App, you will receive official emergency warnings and alerts from participating agencies according to your location or the locations of your friends and family. You have control over the locations, types of hazard and level of the alerts that you monitor on the app. What alerts do I get? Alerts are received by the Hazard App from participating alerting authorities. You will receive notifications of earthquakes, and Watches/Warnings of Severe Weather and Thunderstorms, for anywhere in New Zealand. The App is being rolled out region by region by Civil Defence Emergency Management Groups. You will only receive alerts from the regional civil defence groups who are currently actively engaged with the app. Visit our website for participating regions. ●	Control the locations, types of hazard and level of the alerts that you monitor on the app. ●	Send “I am safe” messages to friends and family. I don’t like being negative but this app is currently not fit for purpose. Today I received two alerts about high winds and torrential rain based on Met Service weather watches/warnings issued 17 HOURS prior. So the alerts were far from timely. But what’s worse is that, assuming they had been issued yesterday, the period covered was a calm and dry day in Auckland with a gentle Southerly, which is one of our most predictable weather patterns. So I just can’t believe that Met Service would get that so wrong. I have to infer then that the app just isn’t working properly / the Met Service feed has gone barmy. The app causes unnecessary concern and I finally deleted it today. Avoid until seriously upgraded. Good idea but needs improvement. I tried the knowledge tests and got stuck at the wildfire one because the answers to the test questions do not match the order of the questions. Also with the “I’m safe” section we should be able to choose which contact number to use for a person. There is no point in trying to send a text message to a landline! This app is a great idea but the system behind it is hopeless. 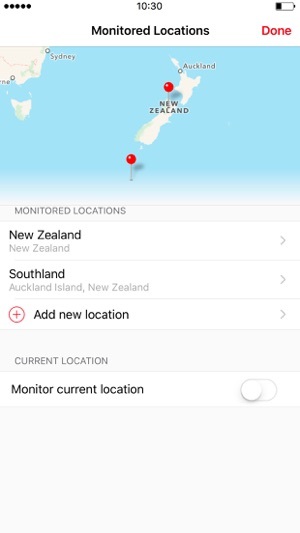 We just had a violent storm in Auckland and the app gave zero warnings ahead of time. The first word was the day after to tell us the storm had happened and people were cleaning up. It's always bugging me about trivial rain showers but said NOTHING about a major storm with 120km/h winds. It's usually mute about tsunami warnings too. Hi there, thanks for getting in touch. Watches and warnings were issued by the MetService prior to the event – we’re pleased to let you know we’re about to introduce a new Metservice feed that provides a much richer experience. 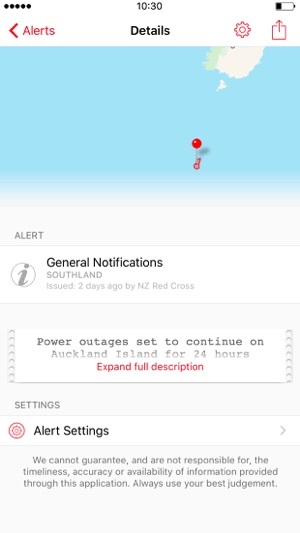 The Info section has some details if you would like to adjust your weather settings, or if you were not receiving there weather alerts, please get in touch with us at hazardapp@redcross.org.nz and we'll do our best to troubleshoot.